An interview from the 2018 International Broadcasting Convention in Amsterdam with Toby Sali of BB&S Lighting. 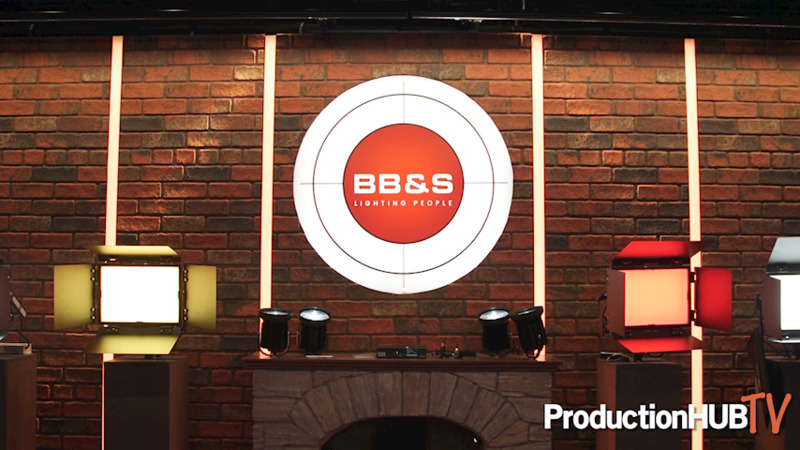 BB&S is a leading LED lighting manufacturer and product development company in the entertainment lighting industry. The Copenhagen based company specifies, develops, produces and markets high-end LED lighting for video, television broadcast studios, motion picture, live performance, harnessing technical and design skills to deliver innovative, high quality and cost-effective products BBS is the pioneering developer of the remote phosphor Area 48 LED light. In this interview Toby introduces the CBL 1 Compact Beam Light, the AREA 48 COLOR and the Pipeline Reflect System. The Area 48 color is the most compact full color unit available on the market today. With 150 watt and a good 12.000 lumen output the Area 48 color delivers stunning saturated and tinted colors as well as clean white light in both ends of the spectrum with high CRI. The Area 48 color is color tweaking with white leds ( bicolor ) and in addition to that, RGB has been added. The Area 48 color is the most powerful compact softlight available in the market today at only 4 kilogrammes ( 8,8 LBS ) the convection cooled unit is unique. Area 48 color also has on board touch screen for local control and of course runs on DMX / RDM as well. Introducing the Compact Beamlight (CBL 1) —a new type of studio, stage and architectural lighting. With a 5.5” footprint, these versatile LED powerhouses draw just 40W yet produce up to 4000-lumen output at 97 CRI. While other fixtures produce a wider, less defined beam, the CBL 1 outputs a hard-shadow rendering beam that fades from 100% at center to 50% at the edges, so it’s good for mixing and overlapping with other lights—while eliminating blinding glare. BB&S CBL 1 lights are ideal for news sets and stages requiring consistent lighting and for specialty uses like approximating headlights or mounting up to 30m overhead—without spill, glare or stray light. Each fixture offers the identical 1.5 kg/3.3-lbs weight and dimensions of (165mm long, 140mm diameter) allowing quick repositioning within the same grid brackets or clamps as other CBL 1s.